The Tenryu Rayz Integral RZI50UL-4 and RZI50L-4 are the ideal spinning rods for a backpacker, traveler or someone who takes more than one rod when fishing. 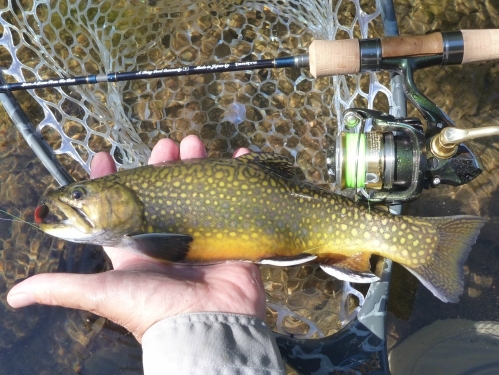 Recently, a devoted tenkara angler asked me to recommend a spinning rod and reel. I already knew that he's an avid backpacker. I also knew that he strongly believes that tenkara is the ideal way to fish a high-gradient mountain stream. Whereas many American anglers also would use their tenkara rods to fish high mountain lakes or larger rivers, he feels that outside of the waters on which tenkara was developed, it really isn't the ideal way to fish. For lakes and larger rivers, he'd rather use a spinning rod and reel. On his hikes in the high country, he plans to fish with tenkara gear in the streams and spinning gear in the lakes. Thus, he will generally carry more than one rod. When he told me what weight lures he wanted to fish, the best rod and reel choice became obvious. Although he would use an ultralight backpack rather than the BW Sports Fishing Backpack shown, the Tenryu Rayz Integral RZI50UL-4 will be the perfect rod for his needs. First and foremost, it is an excellent rod. He has a Tenryu Furaibo TF39TA tenkara rod and appreciates the company's commitment to quality. 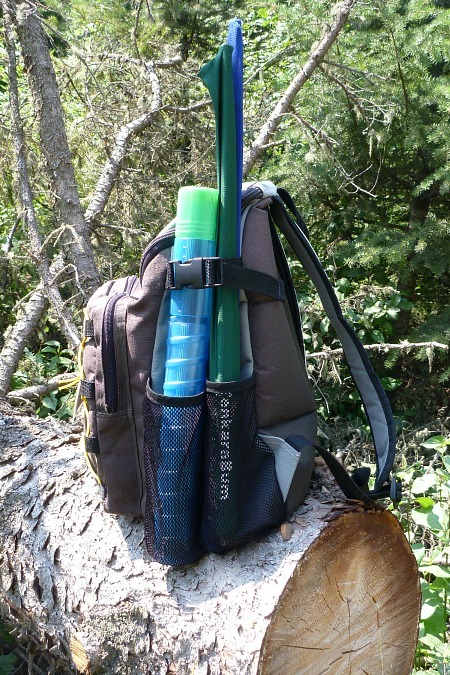 The 4-piece rod will fit inside his backpack - and will also fit inside the Medium Rod Case for extra protection. The Daiwa spinning rods, whether the 3-piece or the telescopic rods, will not fit in the Medium Rod Case. The first guide is too tall. The Shimano rods are very nice, and will fit in a Long Rod Case, but they are all two piece rods and are too long to conveniently pack when broken down. 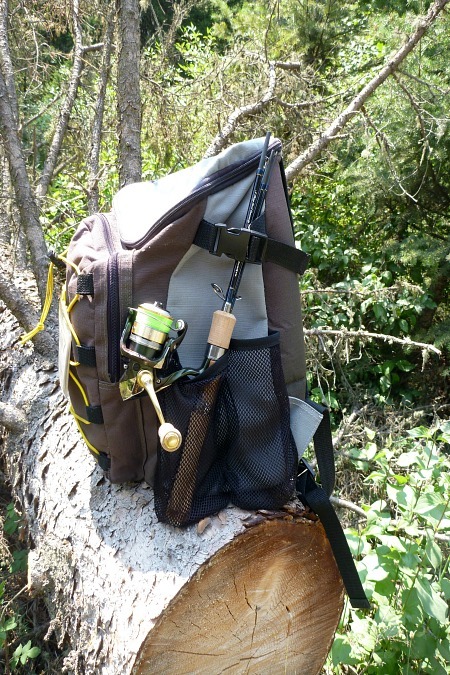 If he's fishing the spinning rod and has the tenkara rod packed, it won't be a serious problem; but if he's fishing the tenkara rod and has a 2-piece spinning rod strapped to is backpack, it'll catch on any branch he has to duck under. I carry multiple rods all the time. A two piece spinning rod is no problem at all if you carry only one rod. If you carry more than one, though, it is really inconvenient to have a rod that is over 30" long when collapsed. Tenryu Rayz Integral RZI50UL-4 inside a Medium Rod Case. The Tenryu Rayz Integral RZI50UL-4 and RZI50L-4 break down to a shorter length than most tenkara rods. Packed either fully within the backpack or in a case strapped to the side, they are as secure as they can be. A Rayz Integral spinning rod and a TF39TA tenkara rod make a perfect pair for the backpacking angler. Because his primary use would be on lakes, larger streams and smaller rivers, the 50" length of the Rayz Integral rod would make more sense than the 39" length of the Rayz RZ39LL, which is better suited to very narrow, overgrown streams. Since all the lures he fishes are under 1/8 ounce, the "ultralight" RZI50UL-4 is a slightly better choice than the "light" RZI50L-4, which does better with lures of 1/8 oz to 1/4 oz. The ultralight rod will still have all the muscle he'll need for the 16" fish he expects to catch in the mountain lakes. 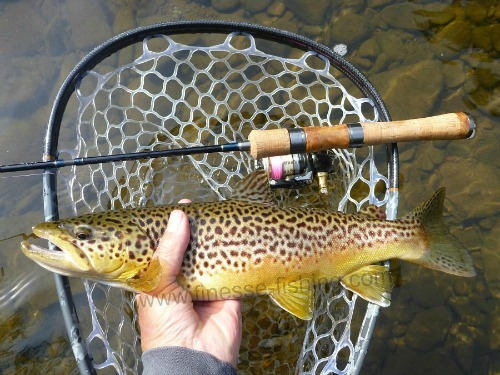 Tenryu Rayz RZI50UL-4 and 16" brown trout. I've caught trout up to 22" with the Tenryu Rayz Integral RZI50UL-4. All you need is a reel with a good drag. I recommended the Shimano Cardiff CI4+ C2000HGS, which I feel matches the rod perfectly. In addition to being as smooth as silk and having a good drag, the reel is also very light at just 5.8 ounces. For a backpacker, that is important. Really, though, even if you don't backpack in, having a light reel is something you will appreciate - I know I do. Tenryu Rayz Integral RZI50UL-4, Shimano Cardiff CI4+C2000HGS, Daiwa Presso Vega .8g Horizon Spoon, Brookie. I'm still trying to convince him to give up his spinners for some spoons with single barbless hooks. They do catch fish. They don't cause line twist. Seems like an easy decision to me. I think he'll come around. International shipments for the rod alone do not require additional postage. International shipments for the reel alone do require additional postage. International shipments for the rod and reel together do require additional postage. A PayPal invoice will be sent to request additional postage if it is required. If you find a Tenryu Rayz Integral RZI50UL-4 in its blue canvas rod case and would like to return it to its rightful owner, please contact us. Just wanted to drop you a line to let you know that the Tenryu was worth every penny. I was able to fish it the afternoon it arrived, and found it to be just the ticket. Unfortunately for my bank account, it will probably not be the last one I purchase.